I just finished a jewelry workshop with a mom and her two adorable daughters! It was a lot of fun and they made such CUTE bracelets! I also have two new workshops coming up this month, a beginning crochet bracelet and a NEW advanced jewelry class at my studio. (See details and a Special below.) 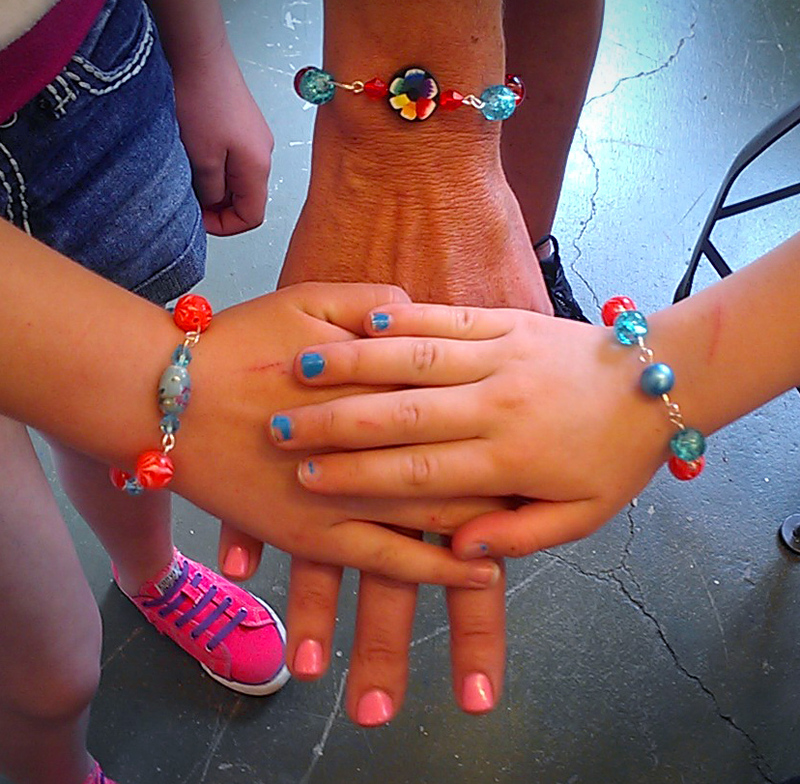 Here is a picture of the three bracelets that mom and daughters made in the beginning jewelry workshop yesterday at Belle’s Nest. 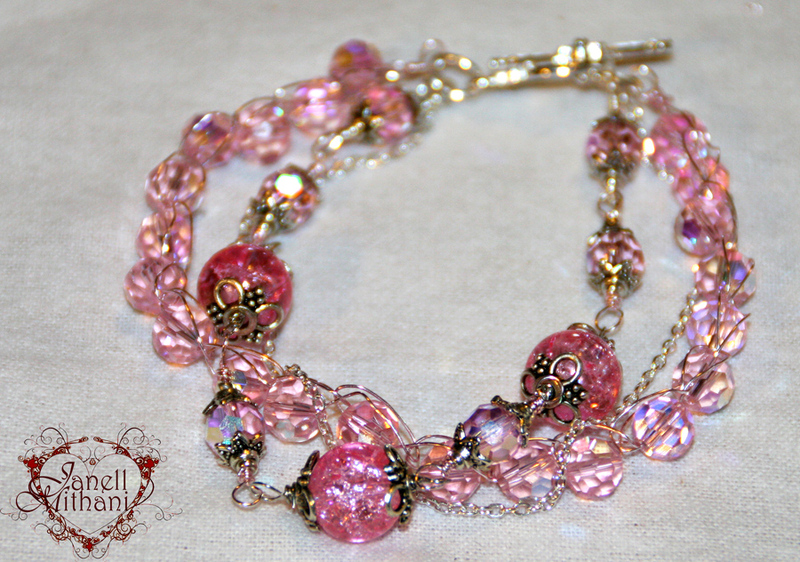 4 STRAND BRACELET CLASS – This jewelry workshop is to make this BEAUTIFUL 4 strand bracelet. It will be held in my garden studio on Friday, April 26th, 1:00 PM – 3:30 PM. There are two strands of chain, one of components and one strand of crochet beaded wire. (This is a great beginning class if you have always wanted to learn bead crocheting.) The class is $30 and once you sign up for the class I will email you a supply list and directions to my studio in Altadena. Since you are getting your own beads for this class you can make it in any color you like. I made mine with silver wire and faceted pink crystal beads for lots of GLAM! I have decided to teach some advanced jewelry classes at my studio for those of you who would like to pursue jewelry making and take it to the next level. I have had a lot of beginning students at all the venue’s I teach ask me about teaching at my studio. Well, here is your chance! If you are interested in the 4 strand bracelet class, contact me at janellmithani@gmail.com or you call the studio at 626-344-2787 to register. Since this is my first jewelry class at my studio, I am offering a “BRING A FRIEND SPECIAL”, Get $5 OFF if you and a friend both register for the class. 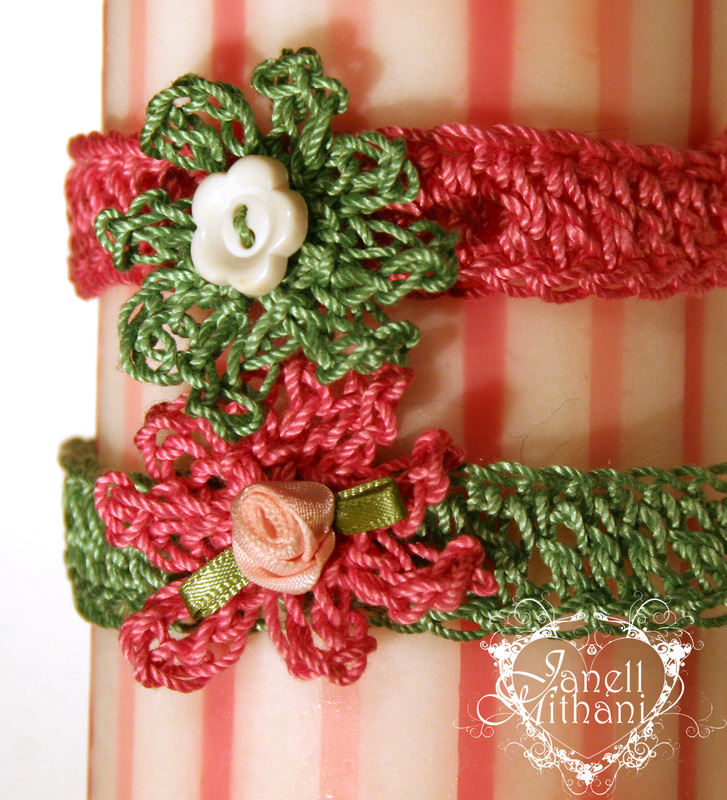 A CROCHET FLOWER BRACELET CLASS – I am also teaching a beginning/refresher crocheting class where you create an adorable bracelet while you learn the basics of crocheting for $30 (supplies included.) This class is being held at Belle’s Nest, 55 N. Baldwin Avenue, Sierra Madre, CA on Friday, April 12th at 2:30 PM – 4:30 PM. You can register for the class by calling 626-355-0200. Aren’t they adorable? All the supplies and a crochet hook (to keep) are included in this class. So…. if you have been wanting to learn to crochet or just need a refresher class, sign up for this fun class. If you live in the San Gabriel Valley, I hope to see you in one of my workshops… for the rest of you… don’t you want to come to the Los Angeles area for a visit and take one of my workshops! 🙂 We have lots of sunshine.